Updated: 5:30 p.m. | Posted: 1:43 p.m.
Two Fergus Falls residents were charged Wednesday in the death of a 6-year-old boy whose grandmother had placed him in their care, according to court records. 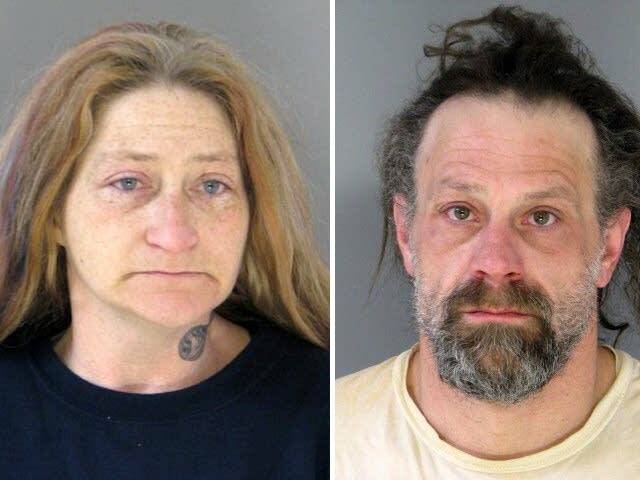 The Otter Tail County Attorney's Office charged Bobbie Christine Bishop, 40, and Walter Henry Wynhoff, 44, with second-degree murder, manslaughter and malicious punishment of a child in the boy's death. The couple took the boy to a Fergus Falls hospital on Monday morning because he wasn't breathing. Doctors could not resuscitate the child. A detective "noted his appearance was disturbing with marks from head to toe, sores, cuts and scratches all over," according to the criminal complaint. Doctors also noted marks consistent with "a strap or some type of restraint across his upper body" and his face "was scabbed over and scarred with multiple injuries in different phases of healing." He was also wearing a soiled and partially torn diaper and one of his feet had "a potato-like bandage and was covered in a plastic bag. Doctors noted it appeared the boy had been pulled by his hair. They also told police he had injuries consistent with being scalded and was suffering from flesh-eating bacteria. Under police questioning, Wynhoff admitted he taped the boy to a wall with duct tape, court records said. Bishop admitted to spanking the boy with a belt about 20 times in the past month. She also told police she hit his 6-year-old brother about seven times over the past month. MPR News is not naming the boy because doing so would name his brother, who remains in protective custody. The morning they took him to the hospital, Bishop said she enlisted Wynhoff to help further discipline him after he had some sort of "outburst." She told police she hit him too hard with the belt, which had a buckle on it. According to the complaint, Wynhoff told police: "I've never been so mad at a child before and I slapped him." Bishop said she went to the boy's room, where she found him groggy with slurred speech. He handed her a broken tooth. She saw a broken piece of one-inch by one-inch board next to the bed. Police later found that board that had a substance on it that tested positive for blood, the complaint said. Wynhoff told detectives that the boy was wearing a diaper "because they believed he was peeing and pooping his pants intentionally." In separate court documents, Bishop asked an Otter Tail County judge to grant her full custody of the two boys in October 2017 after their grandmother gave the boys to her in August saying "she could not handle them" anymore and she did not want to raise them. In a handwritten document, Bishop said she has known the family since she was 12 and "they are my family ... I love them like they are my own." Their grandmother lived with the boys in Washington, her letter to the court said, until she "lost her place in Spokane."